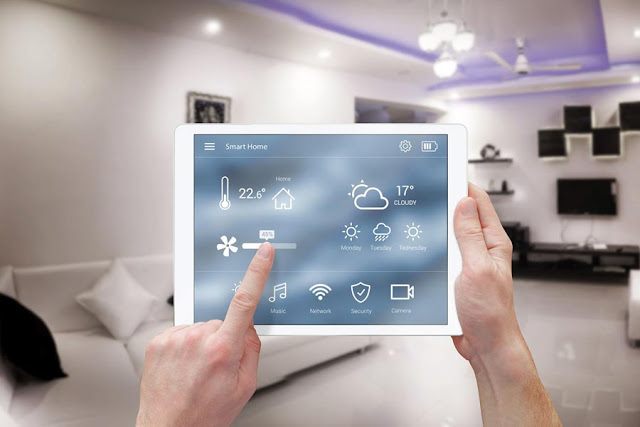 Smart technology is essentially tech that helps to control your home and office atmosphere/environment, security systems, lights, and entertainment systems. It has been around for quite some time now, but still, the general public is not aware of how affordable and readily available this technology is. There are of course large automated smart home systems that could cost you an absolute fortune, but the same applies to PCs, laptops, TVs, and surround sound systems. You can spend literally thousands on any one of these systems. You can also go for a system that is within your budget/price range. As these systems become more common, the price is starting to go down making smart home technology more readily available for homeowners. Check out this smart home installation company for a brief overview of just what smart home technology can do. You can also contact their customer support with questions about smart home tech and they will happily provide you with more information. How Does Smart HomeTechnology Work? Smart home tech is controlled either from an online web browser login, smartphone app, or a smart panel that is installed in your home. The latter, which is the same panel, can be built into the wall of your home. Some of these systems are portable as you can take the touchscreen panel from its wall station and use it as a touchpad. When it needs to be charged again, then it is simply placed back in the wallstation. All commands and settings are controlled through the application on whichever device the application is installed. You can set your lights to turn on and off at set times, have your entire heating or home cooling system on a timer so your home or office will be at a comfortable temperature when you arrive. There are also systems that will automate the curtains and blinds in the buildings, so they open and shut as well as shut at set times. This is just the tip of the iceberg when it comes to what smarthome technology. Also, it is worth noting that even though we use term smarthome tech a lot, this technology is not just limited to your ‘home’. In fact, many offices have been using automated and remote-controlled smart home technology for quite some years now. Probably the most popular technology being used is the home cinema and entertainment smart home tech. See the ZDNet blog covering 7 must-have smart home office devices. Smart home technology has long been in use with widescreen TVs and home music systems. There are so many variations of this technology available that you are literally spoiled for choice. Music can be controlled via a smart home app, so you literally have an entire sound system that your smartphone can automatically connect to. With speakers fitted to every room in the house, the music can literally follow you around the house. When you are out of range of one speaker it will switch off and when you are in the range of other music speakers, they will automatically start playing out the music. If you have a party or people in every room would like to listen to the same music, then you can switch off the speakers follow feature and select which speaker in the home you want to play out the music continuously. You can even have two, three, or four smartphones connect to the system and each phone can select which speaker to play which music. Therefore, your offspring could be listening to music in one room while you listen to different music in another room. All this obviously comes with volume control directly from your smartphone app or by using the wall panel that comes with the smart home system. When it comes to music, the type of speakers you buy, how many, where you place them, and whether you want to have a system that allows more than one person to play their own music on different speakers is entirely down to how much you want to invest in the system. Home cinema systems come in all shapes and sizes. They also connect to the speaker system so you can have cinema-quality sound in your living room. If you have multiple TVs in the home, these can all be controlled via your smartphone app or the wall panel control system that comes with your smart home entertainment installation. Check out Best Buy for smart home system tech price. If you do decide to get a smart home system installed, then consider rolling in several components into one. That means if you can integrate your CCTV and intruder alarm system into your smart home setup. This way you will have home security, home entertainment, home atmospheric control, and lighting control all one convenient application. Also, you can add extras on such as automated blinds and curtains and access control. Access control means you can have an automated home locking system. No more keys needed as you can unlock doors from your smartphone application, via a keycode (if your smartphone is out of battery), or via biometrics. You can control your front gate opening and closing as well as your garage door. If you have the money to invest, the world is your oyster with smart home tech. Every aspect of your home can now be controlled from a smart home application. It is pretty amazing to think that this kind f technology is available and that it can all be controlled from an application on your smartphone. This is surely the future of all homes. Right now, it is quite rare to this technology in action in your everyday household, but fast forward to ten years’ time and we are sure that smart home technology is going to be a part of at least 50% of every household. This technology is also going to create more jobs as the demand by homeowners to have this tech installed is going to increase over the next one or two decades, so if you are looking for a career in the next big thing, then think about training to become a smart home installation specialist.